PULLMAN, Wash. – Afghan extension representatives will visit Washington State University and WSU Extension sites in June, part of an ongoing program to help rebuild that country’s extension system. 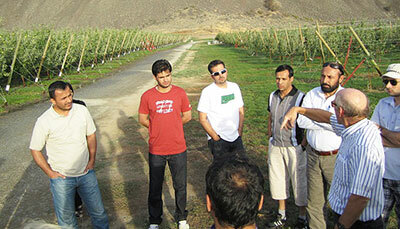 WSU has been involved in developing agricultural research and extension in Afghanistan since 2002. 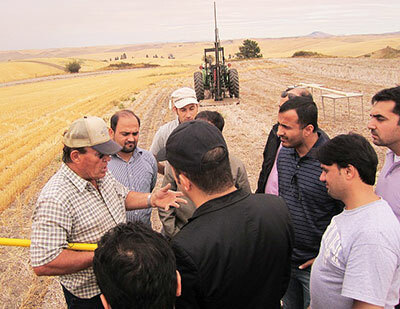 Since 2011, the university has collaborated with the University of California Davis, Purdue and University of Maryland to assist the government of Afghanistan in developing agricultural extension outreach through effective, demand-driven extension techniques. The program is funded by the U.S. Department of Agriculture-Foreign Agricultural Service and National Institute of Food and Agriculture international programs. Previous Afghan extension study tours at WSU. Goals are to strengthen technical skills, teach demand-driven extension methods, elevate the role of women in agriculture, rehabilitate agricultural research stations, establish workgroups and initiate a mini-grant system to encourage agricultural innovation and technology transfer. Many of these activities are based on lessons learned from the U.S. cooperative extension system – which celebrates 100 years in 2014. WSU faculty have participated with the program both in the U.S. and in Afghanistan. “We aim to engage faculty whose experiences are relevant to the situation in Afghanistan to create a mutually beneficial exchange of ideas,” said WSU’s Kim Castelin, who is coordinating the tour at the university. In addition to WSU, June participants will visit other land-grant universities, extension offices and producers and small business owners in rural communities.